Oh hey... We're Moving! Well, the blog is. I'm so excited to announce that WellKeptChaos is now Party HarDIY. The name came about when I was looking for a fun email sign-off. I wanted it to be silly and party related, so I came up with Party HarDIY. I suddenly realized that this name stood for exactly what my blog was about- party ideas, DIY projects, and being a little bit cheesy. Ok, very cheesy. I got really excited, with visions of sugarplums dancing in my head. I realized this was the perrrrrfect name for my silly little blog, and that I had to make the change. Well, after some deliberation, I finally decided to bite the bullet and get that done. The content is going to stay the same. 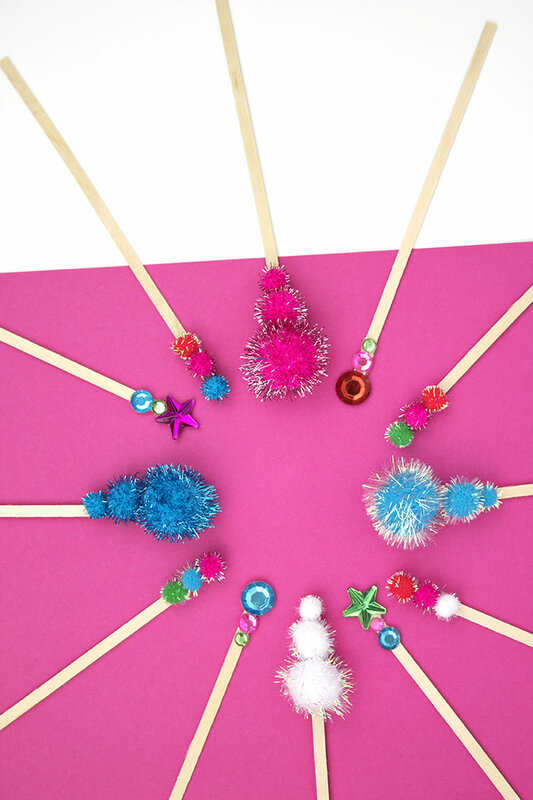 You'll still get awesome party ideas and DIY projects that you LOVE. Oh, and I'm still here. That's right, your favorite hostess is still going to be here, yapping about DIY's, giving advice, and throwing amazing parties. I'll also still be offering my virtual party planning services so that your parties can be as stellar as you are. Well, for starters, our logo in the corner is different, and soon our URL will be too. I'm still working out the best way to make the switch, so if you have any advice, send it over my way! My social media channels made the switch today! 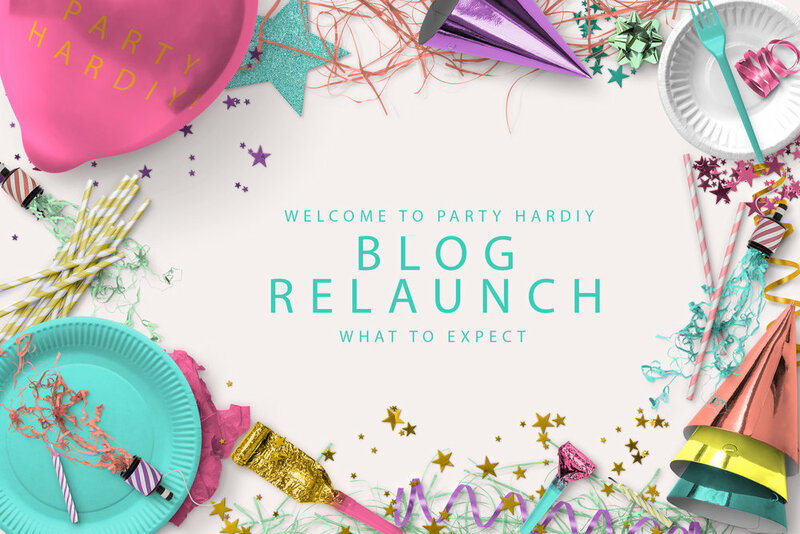 You can now find us @PartyHarDIY on all the social media channels- Instagram, Twitter, Facebook and Pinterest. Be sure to follow us! Oh, and my name changed too! I just got married in September, so Catherine Sarlis has become Catherine Cardona. Photo by Lora Reehling Photography. As if all this wasn't enough, there's a few new things coming up the pipeline! For starters... I'm opening up a shop. That's right, soon you'll be able to purchase your very own PartyHarDIY goodies!! The exact details will have to stay a secret for now (darn!) but I promise it's gonna be really good. You don't want to miss out, so join the wait list, and you'll be the very first to know what's going down! School's out for summer.... but soon it'll be back in session! I'm creating some e-courses to teach you about a few different topics. I always imagined I'd become a teacher when I was a kid, so it's only fitting that I start teaching classes! Soon enough, you'll be able to get a PHD all your own (get it... PartyHarDIY?). I'll definitely keep you guys updated as all the changes happen, but I'm so excited/relieved to reveal this secret that I've been hiding for a while now! I'm so excited to see the new direction of the blog, and I hope you all continue to follow along! I’f you’re looking to improve your photos, I have a FREE photography course! Just click the photo to sign up. Wow, so 2016 is over, huh? It seems like it was a pretty crazy year for everyone, and people didn't exactly hide their desire for it to go away once and for all. For me, 2016 was an ok year. It had its ups and downs, but I'm pretty glad it's over. I'm ready for a fresh start, so even though technically the only thing that changed is one little number, it feels like anything is possible. Let's hop into our time machine now and travel back through my memory as I look at the year in review. 2016 has been one crazy ride. I moved into my house on New Year’s Eve last year, so I essentially started the new year in a brand new place. Its our first home and we are loving it so far. It’s also been my first full year being engaged and planning a wedding. That hasn’t exactly been fun or easy. It’s not really affordable, and so it’s been a struggle to try to have the wedding of my dreams on a shoestring budget. The budget has grown and it’s overwhelming! I started this blog to chronicle my life as I planned my wedding and decorated my home. However, it’s become so much more than that. I have big plans for this little blog, and pretty soon you’ll start seeing what’s been going on behind the scenes. The topic changed, but the reason behind starting it is the same. I’ve always wanted to start my own business. I’ve always wanted a creative outlet. And I’ve always wanted to flexibility to be home with my kids when I have them. I’m hoping with this little blog, I can do all those things and more. I am hoping that I can show what I am truly capable of, proving to myself that I can achieve anything. I already kinda feel like I can (thanks mom and dad!) but I want to show that it’s not all unjustified confidence. I want to put my money where my mouth is. This blog helped me to do so much I never was able to. For starters, I broke my toe taking pictures for the blog. Breaking a bone is something I have never done before, and frankly, I hope I never (ever) do it again. It’s also encouraged me to learn things that I’ve always wanted to be better at, like photography. It’s challenged me to find out what I am and what I like without being influenced by what others are doing. Which, surprisingly, is really hard! And it’s also encouraged me to focus on bettering myself and not focusing on where I am in relation to others. We are all on our own journeys, and if we focus on our goals, there’s no reason why we can’t catch up (or surpass!) the people we are admiring. Let's take a look at 2016 month by month. January: On Dec 30, 2015 we closed on our house, so we spent New Year's Eve moving in. It was exhausting and thrilling at the same time. Most of January was spent unpacking, purchasing furniture, and trying to settle in. February: In February, I started looking into starting a blog. I suddenly had a 3 hour commute round trip, so I had a LOT of time to spend on Pinterest. I'm not sure how I started looking into blogging, but once I did I became addicted and realized I needed to start one. I had always wanted to start blogging, but it finally seemed like the time was right. March & April: Most of March and April was spent behind the scenes as I started creating my blog and coming up with content. I decided to go with SquareSpace because their interface was the easiest for me to use. I wanted something that I could edit easily myself and was relatively simple. May: In May my blog finally went live! I didn't know what exactly my blog would be about, so I wrote about home organization tips, DIY's and party planning. I made my first and most popular DIY tutorial, a donut party platter with sprinkles. I also did my first party post, for my Sugar Sweet 27th Birthday Party. I created the most blog posts this month, a whopping 11 posts! June: In June things quieted WAY down and I wrote my first holiday blog post, Fourth of July on a Budget. I also enrolled in Blog to Biz Hive by Melyssa Griffin and began working on creating a business for my blog. There was a lot of soul searching during June as I tried to decide what my blog should be about. I decided to forego the lifestyle category and instead focus on DIY's and party planning! I also had my Disney-themed engagement party in mid-June. July: Some of my favorite blog posts happened in July. I started with my Nautical Notecard Banner Tutorial, which I came up with on the fly at Michael's and ended up really loving. Then, I had my first party supply haul post from Michael's using their fun tropical themed stuff. And one of my favorites to date, my TGIF 90's-Themed Slumber Party. This was seriously the most fun ever to plan, and I loved hunting for 90's themed supplies. Plus I got to eat the lunchables and candy after the shoot, so that was pretty epic. August: The end of July and beginning of August were AMAZING because I got to go to Greece for the first time! It inspired me to write a post on What Greece Taught me About Being a Great Hostess. It was also a great excuse to show off some of my photos from Greece, including the amazing purple and yellow mermaid dream home I found there by accident. Once I got back, I posted another fun tutorial on a DIY Pineapple Garland that's so easy to make. I also created a blog post & amazing freebie on How to Plan a Pinterest Worthy Party. This guide shows you how to plan a great party that's gorgeous, and the guide itself is super pretty as well! I was so happy with how it turned out. September: On September 2, I had my most emotional day ever. It started with being teary-eyed as I excitedly realized that in a year I'd be walking down the aisle and marrying my fiancé. Then, I spent the afternoon working on some fun new blog posts. I was standing on a chair while taking some overhead shots, and Humpty Dumpty went tumbling down. I spent the rest of the day in the ER, then spent the rest of the MONTH unable to walk with a fractured toe. That was not fun! This seriously made all my plans come to a screeching halt. I couldn't go up 2 flights of stairs to the attic, so I couldn't really do any DIY or party blog posts. However, I did my first collaboration with Paperless Post for How to Plan a Summertime Christmas Party, which was so much fun to do! And, I spent the rest of the month researching proper equipment so that I would never hurt myself taking photos again. October: By early October, I was able to get back into the swing of things. I wore a walking cast and was finally able to move around on my own. I dove right into Halloween (one of my favorite holidays!) and spent a day decorating my house while hobbling around in my walking cast (the Boot, as I called it). I utilized one of my favorite websites, Oriental Trading, to create two awesome Halloween tutorials. The first was DIY Faux Pinatas using inexpensive papier mache pumpkins and some streamers. The second was a Colorful Halloween Party that featured spiderwebs, black and white striped plates, and a whole lot of colorful paper fans. Plus, this party had ME in the photos! I'm working on being more present in my work next year, so that you guys can start to recognize me as the face of my blog. October was also the first month that I started using Instagram daily and I was able to increase my engagement. November: In November, after finally getting to walk around in normal shoes once again, we went full-on Thanksgiving here on the blog. I started with 9 Tutorials to Help you Build the Best Thanksgiving, featuring some of my favorite colorful Thanksgiving and Friendsgiving ideas from around the web. I created a colorful and classy disposable Friendsgiving Tablescape that's sure to wow your guests, and a DIY Colorful Leaf Garland that's so easy to do. After YEARS of using Pinterest, I finally got 1k followers at the end of November! I remember having about 300 or so at the ER in September when I fractured my toe, so this was HUGE. December: Ah, good old December. This is always a SUPER busy month for me, since I have my sister's birthday (Dec 13), my mom's (Dec 16), and my fiancé's (Dec 23) followed by Christmas. This left me with practically no time for blog posts! I was, however, pretty active over on Instagram. I was really bummed because I had some amazing DIY projects I wanted to do, but I did some other great blog posts. I started with How to Save Time and Money on Holiday Gatherings, a guest post on the Crazy Busy Happy Life blog. 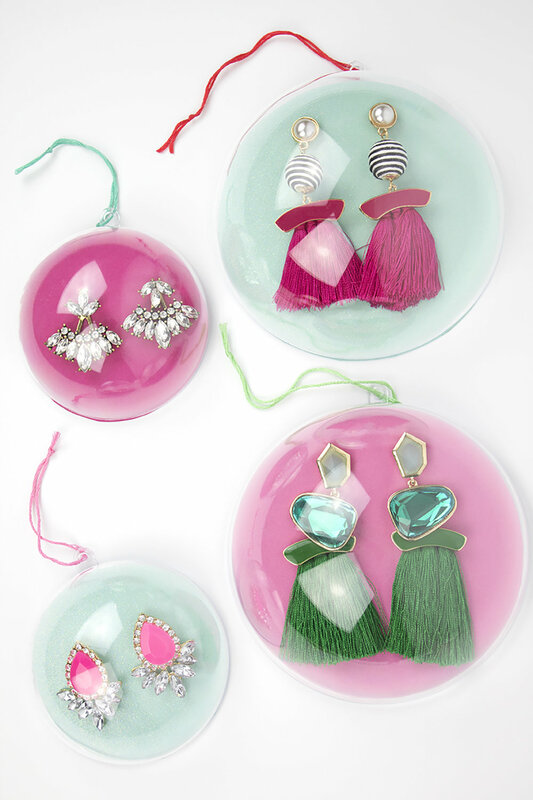 We also rounded up some fun and colorful DIY Christmas Ornament tutorials and discussed How to Mix and Match Party Supplies using gorgeous tableware from Target. I also created my very first Gift Guide for hostesses, and it's filled with some great stuff that any hostess would love. By this point, I own pretty much half the items on the list, so I mean it when I say it ;) We closed out December with a Last Minute Dollar Store New Year's Eve Party. So, what does 2017 have to bring? 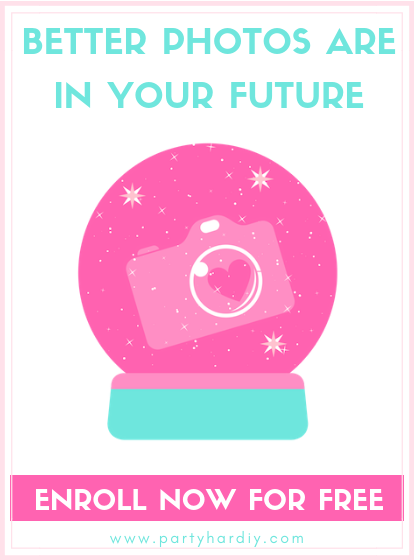 A free 4-week party planning e-course is coming to the blog soon, along with virtual party planning services! I also have plans to open up a shop, and there may be a redesign happening as well. So what's the new blog name going to be?! Well a girl can't reveal all her secrets, but I can tell you that it's going to be amazing. Be sure to follow me on Instagram, where I'll be sharing updates, sneak peeks, and behind the scenes photos and videos! Welcome 2017- I'm ready for you! When I was starting my blog, I was blown away by all the free advice out there on how to be successful as a blogger. I read the articles on my commute and I was so excited to get to the next one. There was so so much to learn, but in a good way. I wished I could read faster as I read article after article, completely engrossed in the content. After reading a lot, I felt confident that I could start this blogging thing. It was always something I wanted to try, but now I felt ready to make it something I did professionally. 3 months later, I don't feel the same way about all that information out there for bloggers. Instead of feeling empowered by it, I feel discouraged. Seeing those headlines makes me feel like they're shouting at me. All those "What you're doing wrong on Pinterest" or "Mistakes Bloggers Make" type articles make me want to shut off my phone and hide! I've decided I WILL be successful at this, so I won't allow myself to hide from it. Here's my advice for staying sane in the sea of advice out there when starting a blog. Be conscious of what you pin and who you follow. A lot of the content I was seeing was based off my pins and the people I was following. To prevent becoming completely overwhelmed with content, only follow the boards and users you want to be inspired by, not pressured into. This will whittle down the content you see and shield you from the flurry of articles that might make you feel like you're not doing enough. Find a tribe leader. There's tons of articles out there about finding a tribe, but I think the most important thing you can do at first is find the right tribe leader(s). Find one or two people whose writing style you like and whose content is informative, and focus on learning from them. You can always search for advice on specific topics from others, but for general guidance, I recommend finding a leader and following their advice until you're comfortable branching out. Focus on creating great content. Yes, other things are definitely important. But your #1 priority should always be cranking out great content. If you start to feel overwhelmed by all the articles and advice out there, close your social media, ignore your inbox, and just write. Whether it's a blog post, a list of ideas, or your newsletter, doing these things will be useful for the success of your blog and leave you feeling empowered. Create a to do list, an editorial calendar, etc., and stick to it. I find that feeling overwhelmed leads to not knowing where to start, which leads to giving up. Don't let that happen! Write a short daily to-do list, weekly goals, an editorial calendar, or whatever you prefer that lets you know exactly what needs to get accomplished. This will silence all those other tasks nagging at you and allow you to get something done. If you find yourself obsessing over another task, schedule it in somewhere and let go of that nagging feeling. Focus on your own goals and not the ones everyone else throws at you. If you listened to every piece of advice, you'd be making daily blog posts, a weekly newsletter, growing your subscriber list, offering tons of freebies, have an active social media presence (and more) every day. That's a lot of work for one person to do, and it doesn't even include your other daily tasks! Are all these things great to have? Yes. In an ideal world you'd be Super Blogger, getting it all done, and more, all in time for dinner. But in the real world, you might be too busy for all that. Focus on a few things at a time and I guarantee that eventually you'll have it all down. A little bit of progress is better than getting burned out and stopping altogether. Starting a blog is a marathon, not a race. Doing too much too quickly could leave you abandoning the idea altogether. Stop comparing yourself to others. A lot of bloggers have been doing this stuff for years. They've perfected their systems and are reaping the benefits of their hard work. If you're just starting out, it can be really easy to burn out. Don't let someone's else's "end" sabotage your middle. Learn from people, read their advice, and be inspired, but don't let their success discourage you. Be a dreamer. If all else fails, just think about your dreams and what you want to achieve. Write down those goals and see if you can find the steps to achieve them. Sometimes just reminding ourselves why we are doing something is enough to get us out of our funk! Phew! I know it's a lot to handle, but I thought it was important to let people know that you don't have to do everything all at once. I feel better now that I'm not overwhelmed with feelings of inadequacy, and I hope you do too. What's the part of blogging that leaves you the most overwhelmed? How do you overcome it?